I've been having a rough year. My PM class contained a lot of off-level students, including a few officially named SIFE kids and others I thought were SIFE even if their records didn't say so. It made for tough planning. Do I aim low and help the SIFE kids? (In case that term's unfamiliar to you, it means students with interrupted formal education. These kids may not be literate in their first languages.) Do I aim high and hit the more advanced ones? Actually I varied my aim and didn't really catch anyone the way I wanted. This went on for a few months. Last week, though, my supervisor moved all the lower-performing kids to the morning and the higher performing kids to the PM. This was a very good move, though it's certainly a lot more work for me. The students, all in all, are happier. My PM class has become a little goofier. I can't tell if that's good or bad. They have this unexpected tendency to applaud at odd times, sometimes for no reason. I'm not sure whether or not it comes from me. I have this thing about zeroes. Whenever I hear teachers say, "You do this and you get a zero," I want to laugh. So I never gave zeroes until a few years ago. I started writing zeroes on pieces of paper and quasi-randomly giving them to students, slamming them down on their desks and shouting, "ZERO!" Actually the shout wasn't my idea. One year a girl decided that my job was too important to dispense zeroes, so she took it upon herself. Her shouts were spectacular and mine are just a pale echo. Still, they tend to surprise kids who don't expect it. Now some kids you can't do that to. For example, I have a rather shy girl in my PM class who didn't talk enough. In fact, sometimes she speaks Chinese in English class when I want her to speak English. But I told her how things were. "If you speak Chinese in English class, I'm giving him a zero." I point to a boy in back of the classroom. The boy objects. "Why do I get a zero if she speaks Chinese?" "She's not supposed to speak Chinese," I tell him. "There have to be consequences for her actions." The girl finds this hilarious. I see her smiling a lot lately, something I almost never saw before. The guy is a little confused, but he found a way to avenge himself yesterday. After I gave him a zero, he walked right up to me and slapped the zero on my desk. 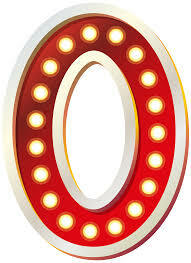 "ZERO!" he shouted, and the class erupted in applause. This went on for a while. I know they're trying to put off doing classwork but it's so funny I can't stop them. I like to see goofy behavior in my class. I like to see happy kids in my classes. I can see more happiness all around now that I'm teaching at appropriate levels. I can't promise you that these kids will excel on some standardized test, but I can assure you that kids who are happy in English class are likely to learn more English more easily. There's a line somewhere at which the goofiness becomes too much, and you have to really look carefully to make sure you don't cross it. Like everyone, I fret over the evaluation system. If I hit the magical E, I'm happy. My supervisor actually gives me ideas that are worth following, and could likely do that without all this Danielson nonsense, probably more effectively. I still remember the best feedback I ever got from anyone. It was from my former principal, who swore year after year he was gonna write up an observation but never did. He watched me teach a class. When he walked out, he said, "Those kids love you." On this astral plane, if you ask me, there's no higher praise.